It's been a while since I have made time to contribute to the news section of our humble website with some extracurricular material, however today is the day ! A couple of weeks ago, the CAVOA (Chrysler & Valiant Owners Association LTD) held a shared drag racing day at WSID, combined with some other local Ford & Holden clubs. 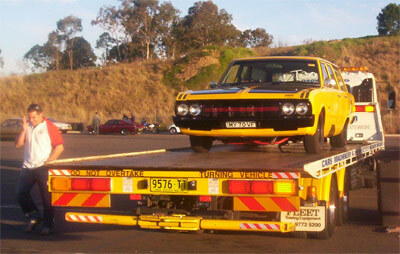 It was a great day all in all, with a many tough cars attending and a good show of pre-entered Mopars aswell. One of these cars belongs to our good mate Andrew Cabrera, whom owns a stand-out VG Wagon that we had the pleasure of painting @ PP&R a couple of years ago. Seriously though, congratulations to the organisers for a great day... I wish I could have raced on the day. These kind of home grown events really have to have the local support of enthusiasts to survive, if you haven't attended one, make time for it, it's great fun.